Your fiancé has popped the question and now all you’re looking forward to is the big special day and wearing your wedding ring to symbolise the love you have for one another. Your diamond ring is made up of the four C’s; cut, colour, clarity and carat. Cut is the most important feature when it comes to your ring - this is because it has the greatest influence on the diamond’s sparkle, meaning the better the cut, the more the diamond will sparkle on your wedding day. Your diamond ring can still appear dull, regardless of it having the best clarity and colour grade. The only thing that keeps a diamond from looking dull is its cut. Everybody wants their wedding ring to sparkle and this comes down to its light performance. So, the perfect ring with an ideal diamond cut will not be too shallow or too deep, and it will allow light to pass through it so that it reflects evenly throughout the diamond. When deciding on the ultimate wedding ring, take the colour into consideration. The eye detects sparkle from the diamond cut first, and then detects the colour of the diamond second. Wedding rings can be expensive and can limit the type of rings you can pick. Choose a near colourless diamond grade between G-H. Colour will not be detected by the naked eye, which will make you and your diamond look perfect on the day, and in the photos. Colour in diamonds appears as a pale yellow, so if this is evident anywhere in the ring you are thinking about buying, we would recommend avoiding it. In a diamond ring, there can often be small imperfections that are regularly referred to as inclusions. The less inclusions in the ring, the better the clarity, which means your wedding ring will shine bright no matter where you are. It’s not a big deal if there are some imperfections visible – they won’t be seen easily when you’ve got it on your finger. By purchasing an SI (slightly included) quality diamond, you’re able to buy something visually stunning, without having to pay the cost of a diamond that contains no inclusions and no imperfections. Many brides believe that the carat of your wedding ring refers to the diamond’s size, and not its weight. 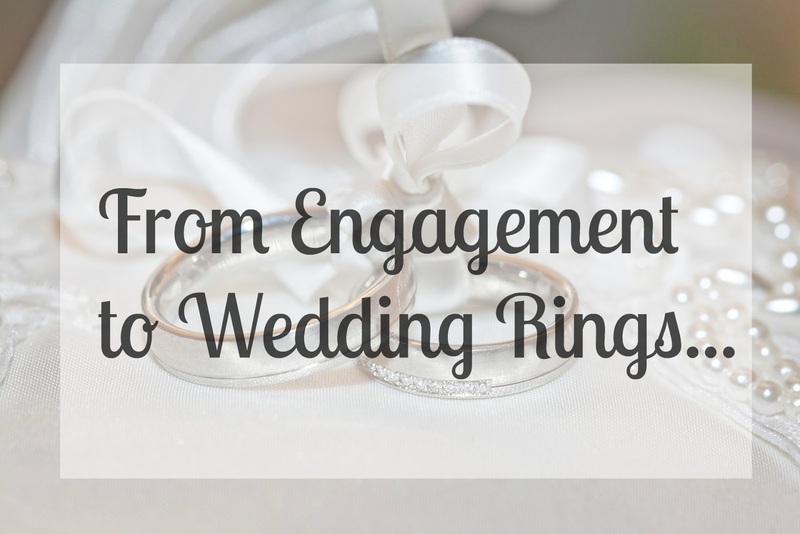 This isn’t the case – so try to keep this in mind when choosing the ideal ring for your wedding. When it comes to your wedding ring, the cut will change how the carat weight looks. You need to be able to get a good balance of both and this will not only guarantee the turning of heads on your wedding day, but also give you the shine that makes it sparkle. If carat weight is important to you, consider a diamond with a good cut, with an SI1-SI2 clarity and an I or J colour grade. Keep in mind that based on the size of your finger, the larger the diamond will appear. Not all ring fittings will fit all diamond carats and shapes, so it’s important to consider what type of diamond shape you’d like before choosing its design.